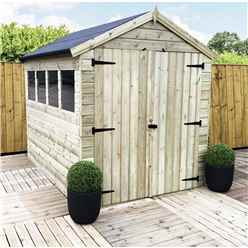 This selection of sheds would make a great garden workshop or spacious storage unit. 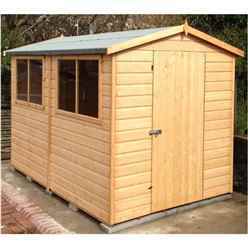 In terms of construction, the 10 x 6 have a few options ranging from tongue and groove to overlap cladding. 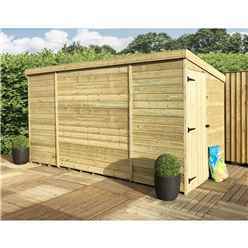 The tongue and groove construction is interlocking 12mm timber panels to form a reliable and secure garden building. 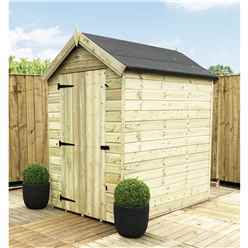 Our premier ranges are 12mm tongue and groove throughout, making it the most robust 10 x 6 product in the market. Some of the roof and floors are constructed using solid sheet board (OSB) resin compressed stripped timber. 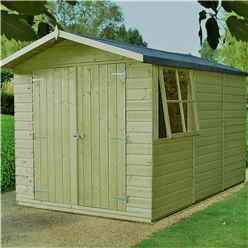 Alternatively we offer an overlap cladding which consists of timber panels attached horizontally onto vertical bearers. These feather edge boards have a substantial 28mm x 28mm frame which allows the water to run off the building. 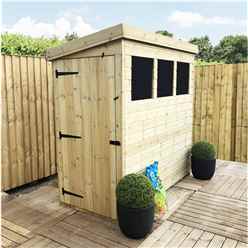 The tongue and groove cladding is more costly than the overlap range but is no doubt a worthwhile investment if you are looking for a long lasting garden shed. Some of the roof and floors are constructed using solid sheet board (OSB) resin compressed stripped timber. 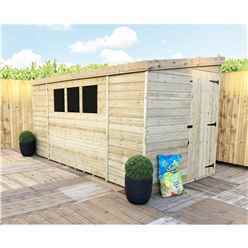 All of our 10 x 6 sheds are constructed of FSC certified timber from sustainable sources. 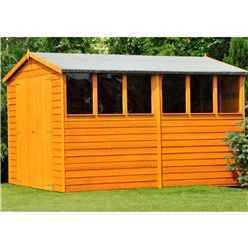 It is important that every shed is built on a firm, level base to avoid splintering and water drainage problems. 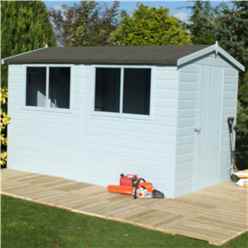 Ideally a concrete base or paving slabs, which will outlast the shed and maintain a trustworthy shed platform. 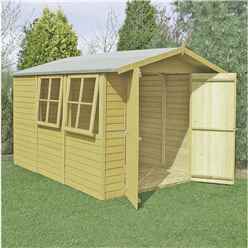 We recommend that the base must be at least 1 foot wider than the shed itself. 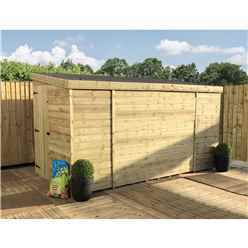 An innovative and convenient alternative to concrete is the eco base; the Ecobase is a fairly new concept, an easy assembled plastic grid that provides a well drained, firm base for your shed. 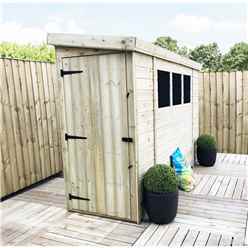 If you are unsure whether your current floor is suitable for a new shed, do not hesitate to contact our customer service team who will be happy to help you with your questions. 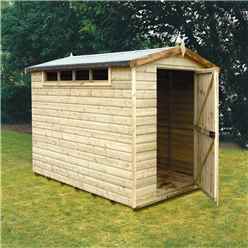 The 10 x 6 sheds have pressure treated floor bearers to raise the shed off the ground to prevent water damage. 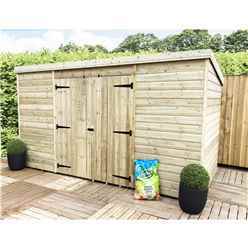 We offer a pressure treated range of 10 x 6 sheds which are a great hassle free product. The treatment involves intense liquid preservative being forced into the wood and stacked to dry. 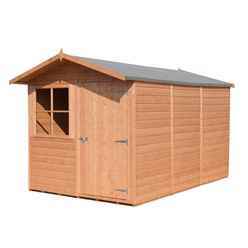 The process prolongs the life of the wood and protects it from weathering and rot. 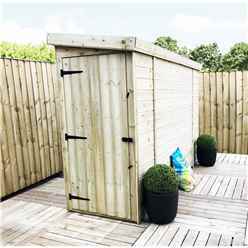 Pre-treated sheds have a factory coat that protects the wood for roughly 6 weeks, we therefore recommend that the shed is treated immediately after it is erected. 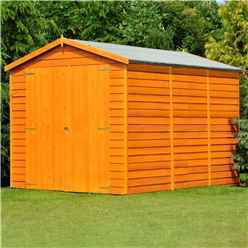 Wood treatment is available to purchase from most DIY and hardware stores and can be found in many colours. 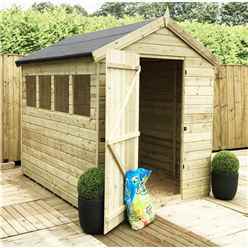 Lastly, 10 x 6 sheds that are dip treated are protected from wear and tear but are not as robust as the pressure treated products. 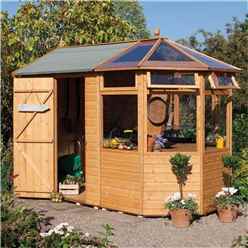 However, they are cheaper and therefore great for smaller budgets. The 10 x 6 sheds come with 2 roof options; firstly the apex roof which consists of 2 panels angled to meet at the highest point in the centre of the roof. 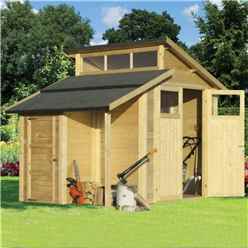 Apex roofs are what you would imagine a traditional garden shed to look like. 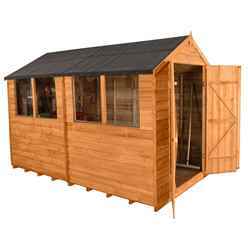 Alternatively the pent roof is a single sloped flat wood board. 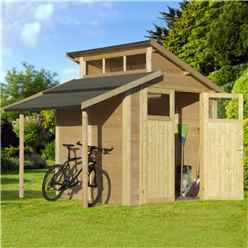 Neither the apex nor pent roof have significant advantages, it is entirely personal preference when choosing the roof style. 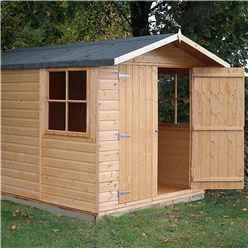 Another decision to be made is if you would like a single door or double doors; we offer sheds constructed with either. 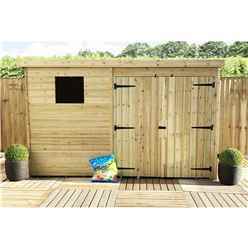 Double doors are ideal if you intend to store large items such as lawn mowers, garden furniture and toys. 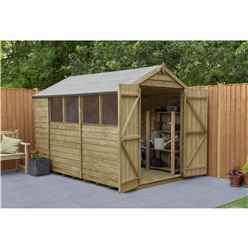 They may also be useful for a workshop as it gives you more room to manoeuvre items in and around your 10 x 6 shed. 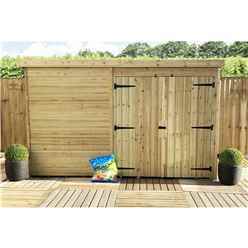 On the other hand a single door is sufficient if you plan to store smaller garden essentials. 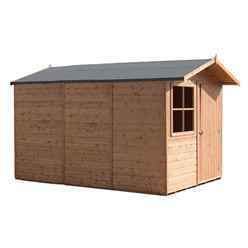 Our 10 x 6 wooden sheds are available with or without windows. 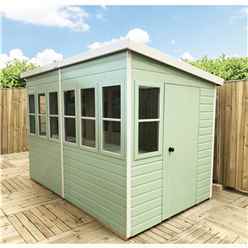 The styrene glazed windows can often be placed either side to fit with the formation of your garden space, they provide immense natural light to make finding items in your shed much easier. 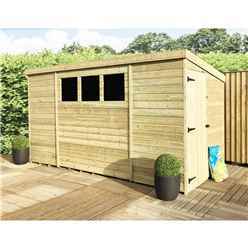 Windows can be found on both our apex and pent sheds, simply find a product where the window location suits your needs. 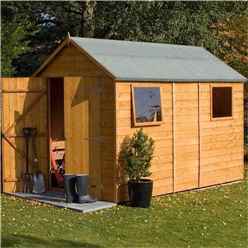 However, if you are unlikely to use your shed on a regular basis, then windows may be unnecessary. 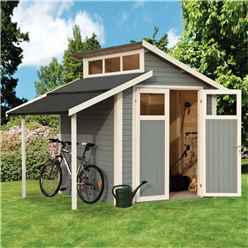 It would also increase the security of the shed. 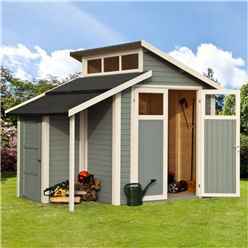 How can you make the most of your 10 x 6 shed? 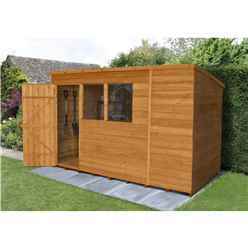 The 10 x 6 wooden garden sheds are found in many different styles to perfectly correlate with the rest of the garden and home. 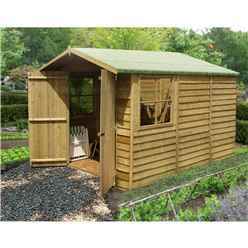 Traditional apex garden sheds for example would look beautiful in a cottage style home, and a unique pent shed would be suiting to a modern home. 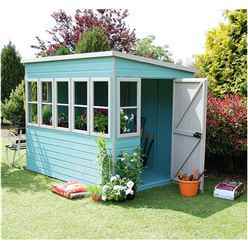 This is not always the case however; both styles can look great in any garden. 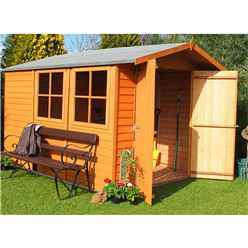 You must be reminded that your shed can be adapted and decorated to add a personal touch. 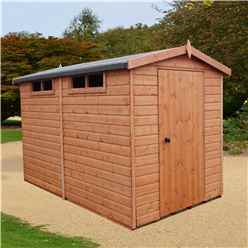 Wood treatment for example can be bought from most DIY stores and are found in many colours ranging from dark brown to pink. 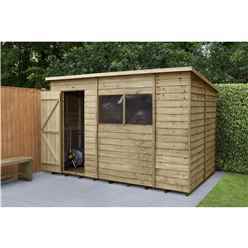 Installing electricity may be an idea if the shed is to be used as a workshop because it will enable artificial lighting and heating, to create a comfortable work space. 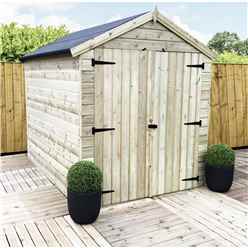 Tongue and groove sheds will be a lot more insulated than the overlap cladding as the panels are tightly slotted together, but if you are spending long periods of time in there you may still want heating. 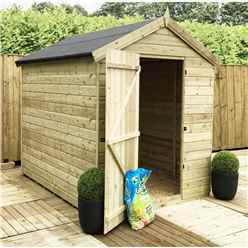 You could then also power a fridge freezer and electric garden tools. 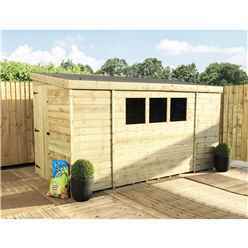 Another nice extra is decking to make a leisure and dining space surrounding the shed. 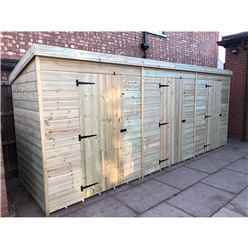 To efficiently utilise space, shelves and hangers can be fixed to store items such as bikes. 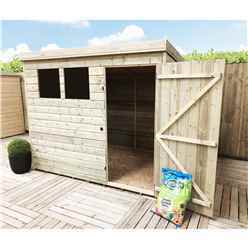 We would recommend that you attach a lock to secure your shed immediately after it’s built; a pad colt, latch or lock and key will suffice depending on the contents. 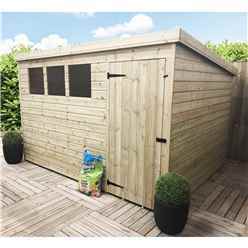 All of our 10 x 6 sheds have free delivery; the waiting time varies between the sheds and it’s therefore best to check the delivery section on the particular product before ordering. 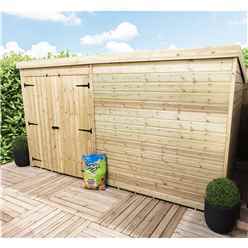 We also recommend that installation is a two person job and that you wear protective clothing when doing so.